Welcome back my friends to the show that never ends, unless of course you count the part where it ends after about an hour! This week’s discussion features some usual suspects in Gonzo and Jordan, but we were also joined by a very special guest! You may recognize Vikram Shankar as the new keyboard player for Redemption, soon to perform at ProgPower, and he also has his own act Lux Terminus which is set to release their debut album, The Courage to Be, on August 24. We talked to Vik about those items as well as several new projects in the works including a new symphonic metal band called Threads of Fate. 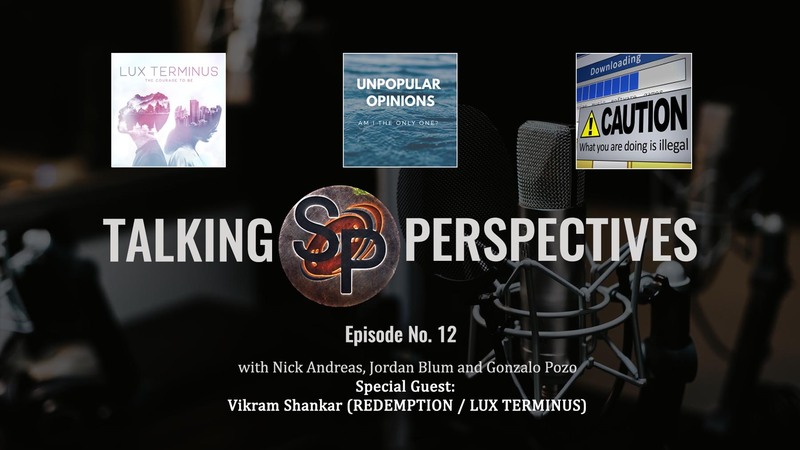 Vik also joined us as we went on to part two of our unpopular opinions segment, where Gonzo tried to grant sainthood to Blaze Bailey for his years in Iron Maiden and Jordan decided to go full blasphemer on Between the Buried and Me and Opeth fans. And we finished up riffing off some comments made by Bruce Dickinson about illegal downloading and the value of music.